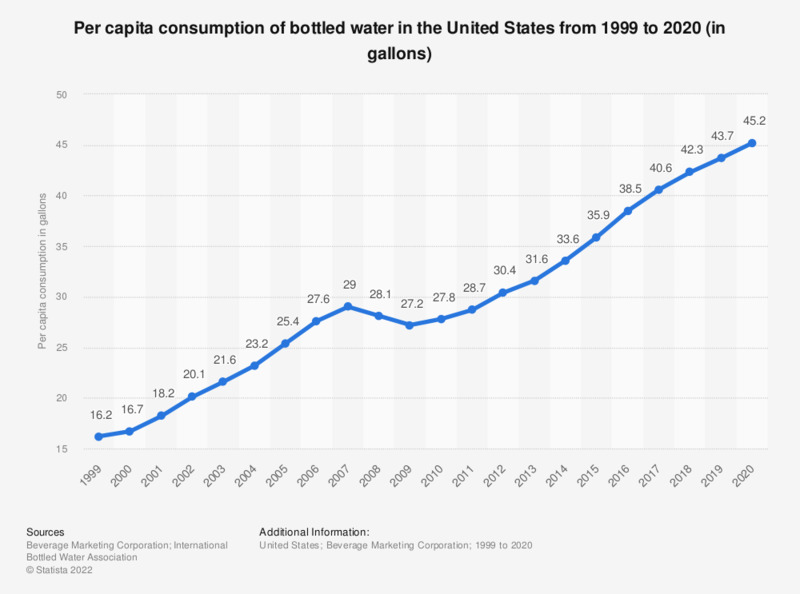 The timeline shows the per capita consumption of bottled water in the United States from 1999 to 2017 The per capita consumption of bottled water amounted to 42.1 gallons in 2017. Bottled water is drinking water sold in plastic or glass water bottles. It can be carbonated or still. The bottled water brand Dasani was ranked among the leading bottled still water brands in the United States that year. The United States was also one of the largest consumer markets for bottled water, based on per capita consumption. Figures prior to 2007 were taken from previous editions of the publication.